Reverend Keith Norman is vice president of government affairs for Baptist Memorial Healthcare Corporation. As the pastor of First Baptist Church—Broad, he is leading the revitalization of Binghampton through GREATER WORKS Inc., an organization he founded. 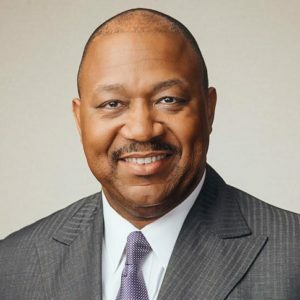 Reverend Norman sits on the board of directors of the Memphis-Shelby County Crime Commission, is a Board Trustee at Christian Brothers University, and is a Tennessee Bureau of Ethics and Campaign Finance Commissioner. He also is immediate past president of the NAACP’s Memphis chapter. He is a 2010 President’s Volunteer Service Award recipient and a member of the 2009 Leadership Memphis Class, as well as the 2010 Memphis Leadership Academy. On April 4, 2012, Pastor Norman was awarded the “Champion of Change” award as part of President Obama’s Winning the Future Initiative. October 2, 2012, Pastor Norman was awarded the Bishop Carroll T. Dozier Peace and Justice Award by Christian Brothers University. A graduate of Morehouse College, Norman has studied community revitalization and church/corporate partnerships at Harvard Divinity School as well as the Invitation Strategies for Church and Community Partnership at the University of Pennsylvania’s Wharton School of Business. He is pursuing a doctorate in Ministry at Memphis Theological Seminary. Reverend Norman is an internationally sought-after speaker having delivered addresses in Guyana, South America, Jamaica and The West Indies, Patmos, Ephesus, Delphi, Thessaloniki, Athens, Lagos, Nigeria, Tel Aviv, Tiberias, and Jerusalem.